Today, winemakers have more means by which to truly “make” wine than ever before. Examples include traditional winemaking techniques such as sur lie (lees contact), bâtonnage (stirring of the lees), maceration (skin contact), and barrel aging. Different permutations and combinations of these four variables alone can produce distinct wines. Indeed, it would be naïve to think that wine is not – no matter how traditionalist, non-interventionist, or ‘natural’ – to some degree made. Enzymes are proteins that speed up chemical reactions. For winemaking, this means that enzymes help things move along faster than they otherwise would in nature. And enzymes are not entirely foreign to the winemaking process. Enzymes occur naturally in grapes and yeast, and will naturally influence the winemaking process. Commercial enzymes are much like cultured yeast strains in that they are derived from nature and act like the natural enzymes in grapes and yeast. The majority of commercial enzymes fall into two categories: those that aid in extraction and those that increase volatile aromatics. The first are enzymes known as pectinases. Used predominantly on red varieties, pectinase functions by breaking down the cell walls of red grape skins, thereby extracting anthocyanins (the color components in red grapes) and tannin. This then helps to improve the overall color intensity as well as the color stability of a wine, by allowing the anthocyanins to bind with the tannin, as well as its structure. An additional benefit of pectinase treatment is that particles settle more quickly. The action of pectinase on negatively charged pectin molecules exposes positively charged grape solids, leading to attraction and increased flocculation. In the second category of enzymes are those that enhance or release aromas, which generally include glycosidases. Glycosidases work by releasing aromas that have bound to sugars to form odorless glycosides. For example, beta-glucosidase can convert odorless bound terpenes already present in a wine into aromatic free terpenes by cleaving bound glucose. In other words, these enzymes work to maximize the aromatic potential of a wine. While there are some aromas that are desirable to enhance, such as terpenes, this is not the case for other aromas such as phenols. Whereas terpenes enhance the florality of a wine, phenols are often associated with a medicinal or barnyard character. As such, glycosidase treatment is most suitable for those varieties high in terpenes: Riesling, Gewürztraminer, Muscat, and Viognier, the aromatic white varieties. Glycosidases allow a winemaker to produce a wine with more intense aromatics in a shorter amount of time. (Remember, enzymes speed up chemical reactions.) The release of bound aromatics otherwise occurs naturally in wine by acid hydrolysis but at a much slower rate. It takes more time to release aromatics without adding enzymes. But there may be benefits to such patience, such as increased ageability. Commercial enzymes, therefore, have the benefit of accelerating the winemaking process. Not only can commercial enzymes speed up the release of aromatics, but they also reduce maceration time and accelerate settling and clarifying. 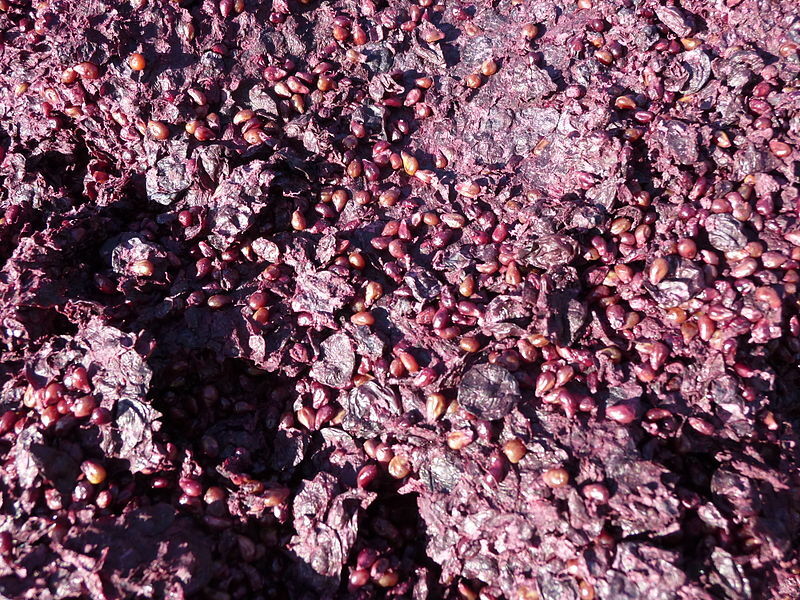 Given large-scale production (or a boutique winery with insufficient tanks), the use of enzymes may be a necessary, practical winemaking decision. However, enzymes are not without their drawbacks. As mentioned, the use of enzymes on the wrong grape variety may have undesirable consequences, such as producing ‘off’ flavours or masking varietal typicity. The failure to add the enzyme at the appropriate time could also have negative consequences on a wine. The timing of the addition (and the amount of enzyme to add) is directed by the manufacturer, and the majority of enzymes are added just after the grapes are crushed or to the juice. However, some enzymes may be added post-fermentation. Enzymes, as proteins, may also affect the protein stability of a wine, possibly contributing to protein haze. As such, successful enzyme treatment relies to some degree on the skill of a winemaker. The hope of using commercial enzymes is to realize the potential of a wine. And, indeed, studies suggest that commercial enzymes are successful in increasing the intensity of aromas. But, if wineries worldwide turn to the same small number of commercial enzymes, are we sacrificing nuance for intensity? The question of whether commercial enzymes have a homogenizing effect is one that has not been studied or addressed. Rather than rely on the marketing teams of manufacturers, this is a question for winemakers to study. FYI; Chapitalization is illegal in the US. Chapitalization is not illegal in the US, it is illegal in California though. But if you’re growing grapes in California and you need to chaptalize, you’re doing it wrong.